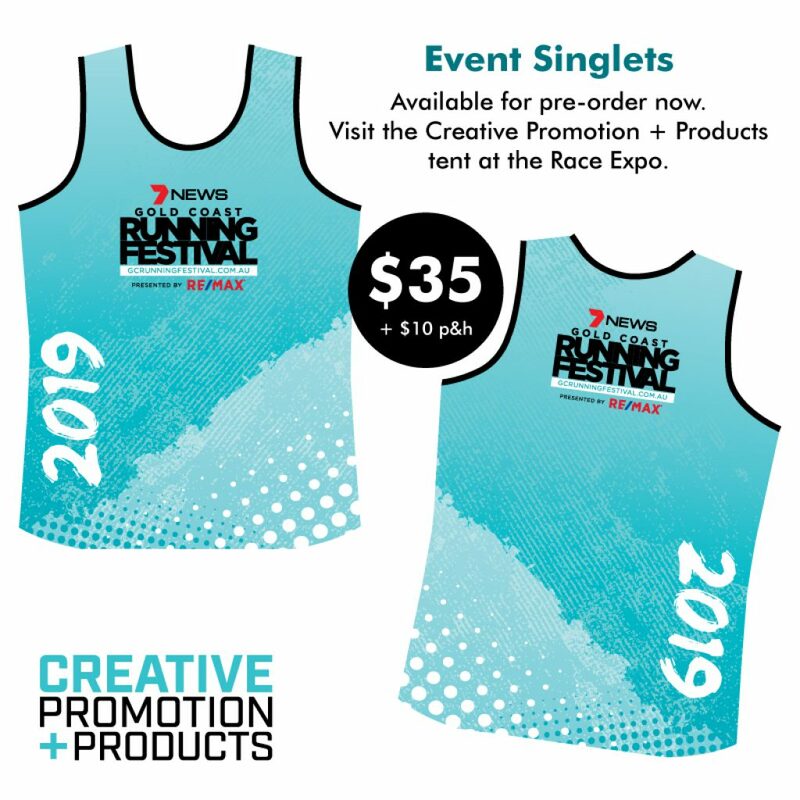 The official Gold Coast Running Festival Event Singlet is now available for pre-order here and at the event expo on race weekend. Visit the Creative Promotion + Products expo tent on race weekend to see an example of the fabric, or send through an order request below and an invoice will be sent out for payment. 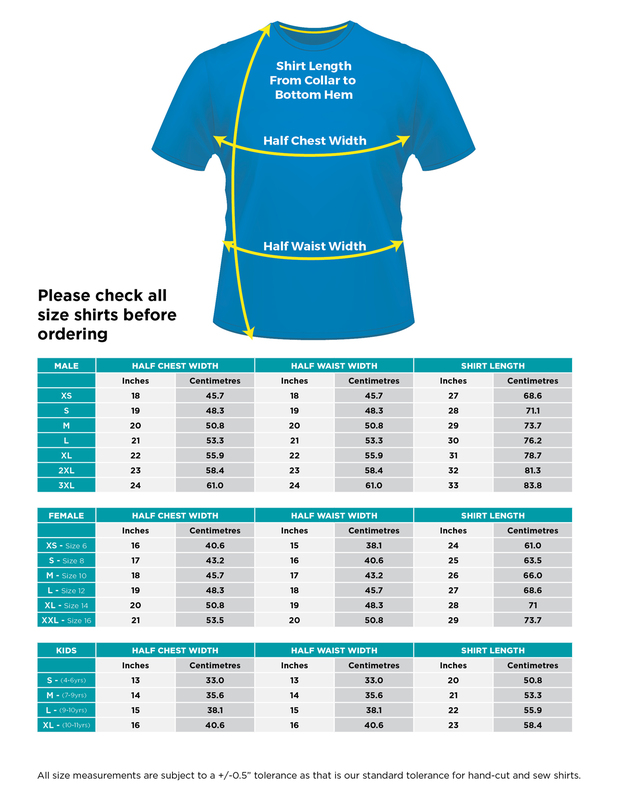 Please ensure you check the sizing chart below before ordering. The singlets will be shipped mid-May to the supplied address. The cost is $35 per shirt + $10 postage and handling, which can be combined for multiple shirt purchases shipped to the same address. Once the order request is placed you will be sent an invoice for payment within 24hours. Your order is not placed until payment has been made using the invoice number supplied. Payment can be made my direct deposit, credit and paypal. Please ensure you check the sizing chart before ordering. For multiples of one size please note this in the field below. Multiples of one size - please note this here along with any additional information.